Last week I was browsing through Pet Finder, just looking, not expecting to find a puppy, fall in love with her and bring her home. We have 2 dogs, so the thought of adding another didn't excite my husband. Once we went to the shelter to meet her, he was all for it though! My kids love having a new puppy in the house and surprisingly my other dogs get along really well with her too. I was worried about how Princess my oldest dog would react to Sasha. Princess is not the friendliest dog. She loves us, but does not do well around strangers. After a few days together they have become fast friends. Bella our middle dog is the sweetest! Most people are intimidated because of her size, but she is gentle and very calm. I love watching her and Sasha play. When we adopted Sasha, we were told that she wasn't fully house trained, but that she was learning well. I prepared myself to clean up accidents here and there, but to my surprise she hasn't had any(knock on wood!). I let her out at the same time as Princess and Bella. Having them all on the same potty schedule helps out a lot. The first night we bought Sasha home was ruff rough! Trying to adjust to having a new puppy in the house is like raising a rambunctious toddler! She was into everything! My kids quickly learned that they cannot leave their stuff lying around. Regardless of the amount of toys she has my slippers are not safe! Who could resist that face?! We were told she is mixed with Rottweiler, Doberman and Boxer. In other words, she's gonna be big! Many years ago, I used to volunteer at an animal shelter. One day while I was working in the kennel(shoveling poo), I noticed Princess. She turned 7 this month. If the front door is open for too long Princess will seize the opportunity and run out. She hates being bathed and having her nails clipped, but she is very alert. She cries whenever my husband leaves the house and starts wagging her tail as he's pulling in the drive way. My husband taught her how to dance. They have a special bond. My Bella-Bella will be 4 in September. We adopted her from Paws of Atlanta, 3 months after we moved into our house. She loves to catch treats in her mouth. She is the sweetest dog I ever owned. She hates cats though and goes crazy if she sees a cat while she's outside. She once broke off her leash and chased a cat up a tree. Poor cat. I felt really bad. Sasha has bought our family a lot joy. Most of my friends and family think I'm crazy to have 3 dogs, but they're not in my shoes. As much as my dogs drive me absolutely bonkers at times, I adore each of them and I wouldn't have it any other way! They are all adorable! I love dogs,they are so sweet.. and I would have 10 of them if I could..I have only one, but it feels like I have 3 sometimes, he is very spoiled..but he is my baby..
How sweet is this! Congrats Brandi and family. Rescue dogs are the best I have two of them and that's my limit two! Enjoy Sasha she is super cute. So cute! You have your hands full! My son has been volunteering at our local shelter and it is hard for me sometimes to not be able to bring them home! That yes it's love! You adopted several dogs! I only have one cat and she is very jealous, can not get another animal living with her! Awww love the new baby. The hubs wants to get a boxer I am debating but he loves dogs so I may let him get one. ahhh congrats on your new arrival! I love how you gave us the story on each one. Congrats on your new addition. Love all three of your dogs! 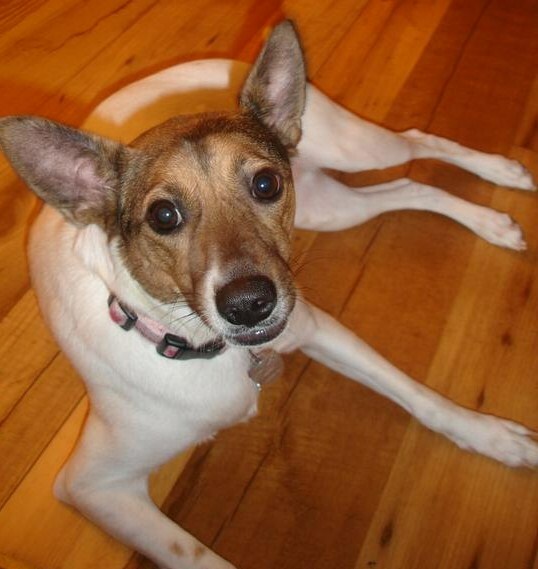 We have a Jack Russell mix that is 10 years old that pretty much rules the roost. We had a Great Dane as well but lost him last July. I applaud you for adopting from the shelter. My daughter has been visiting an American Bull Dog every day for about a month that she wants to adopt as soon as her house is finished. Poor boy has been there since October! I think he's waiting for her. Sasha must feel like she just landed in HEAVEN! You dogs are so precious. I could tell you love your dogs. Sweet. Oh my GOSH! Her face is to die for. SO sweet. I looove Rotties! So so sweet! How cute are the girls all dressed up! Congratulations on your new addition to the family! It makes me miss my old Rotti. oH MY GOODNESS! They all look so cute together. Sasha is a beautiful puppy. Glad they get along. I would give all of them boxes and boxes of treats.....and be petting and playing with them all day!! OMG Brandi, LOL ..aww those outfits!!!! Sasha looks like : OMG what have I gotten myself into! So cute! awww! sasha is adorable! we had a full rotty before, now have a puppy who's half rotty half daschund. her name is hope, and we just love her to pieces! good luck with the full crew! Oh Brandi, she is beautiful! I love dogs! Your Princess reminds me a lot of my Sheba. 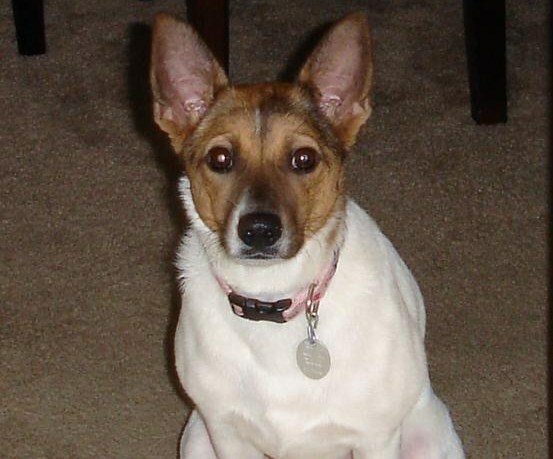 I had to give her up in 2007, for adoption after having her for 12yrs. *_* It was because of my health and not being able to take care of her properly anymore, so for her health also. It was the hardest thing I've ever had to do. : ( I still cry for the lost of her. *sniff* She was adopted in 2 days by an elderly couple who wanted a small dog as a walking companion and not to active. This gave me some sense of solace, but I still miss her deeply. Thank You so much for stopping by my blog and leaving me a sweet comment. What a sweet little addition to your family! She is adorable!! How could you NOT take that sweet face home with you? Glad you are enjoying your new family member. They are too cute in their jackets ready to go for a walk! Soooo cute!!! As another crazy person with 3 dogs - I wouldn't have it any other way, they fill our home with love and chaos! Look at all those sweet little doggie faces! Your dogs are too cute! Dogs bring so much joy in a home. They are so sweet :). They are all so sweet! I wish we had gotten a dog for our kids when they were younger. I think they add so much warmth to a home. OH MY GOSH . . . Sasha is ADORABLE!! Sounds like she's fitting right into the family! What a fun household you have! Loving your fur babies and their stories! We adopted our fur babies from shelters as well! How adorable! I just love that little face!!! I've had 3 dogs at one time, once you get a routine down it's a piece of cake and you can't beat the joy you feel from having them around. Love that you are saving lives by adopting! They are all precious! I don't think you're crazy. I think you're lucky. Your new pup has a gorgeous face! I popped over from Savy Southern Style. Anything with a dog in the thumbnail picture gets my attention! All your dogs are sweet. I can see the rottweiler in Sasha. My husband has been talking about getting a rottweiler but I don't know about a big dog. Bless you for getting rescue dogs. Congrats on the new puppy! What a little sweetie! Dogs bring so much joy to our lives, don't they? Great job on those spindles. Whew! I know you didn't have many to do but it seemed like a lot. I can't wait to see them when they are done! AWWW, Sasha is precious. All of your doggies are so cute and they are styling and profiling in their coats. Aww . Having three pets is totally normal. There family. I had three growing up and had two dogs and a cat at one time. Down to one after a move, but I miss them. All of your dogs are so cute! I love to look at pictures of cute dogs. The only problem is whenever I see a cute dog I want that type of dog. Well hello, Sasha! What a beauty you are! I bet you are a big girl now :) SO happy you are joining my brand new Perfectly Precious Pets party. You have to do some really cool stuff so your mom can share with us in the future. Hi Brandi, I am visiting via Lorraine's precious pets. Your dogs are adorable. I live in north Georgia. We have 6 cats, and yes, people think I am crazy, but they are all rescues and I love them dearly. I also have my late mom's mini dachshund. Oh my...you have a lot of little beauties at your place! And Sasha...well, she's just a cute as she can be! What a house full of wonderful furbabies!